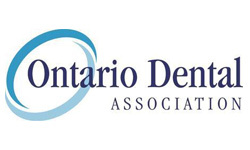 The science of Orthodontics is capable of enhancing smiles at any age. 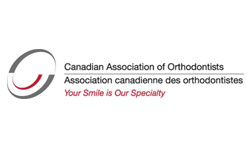 However, according to the Canadian Association of Orthodontists the optimal time to have an initial consultation is at the first sign of orthodontic problems, or no later than age 7. There are many reasons why this is true including your child’s growth patterns and their development. When necessary, early interceptive treatment produces ideal results and reduces costs in the long run. Often at this early age, orthodontic treatment may not be necessary, but vigilant examination can anticipate the most advantageous time to begin treatment and prevent serious problems that could arise as your child ages. At this age the first molars have erupted and the back bite is established. At this time, the orthodontist can evaluate the bite, as well as discover any functional shifts or crossbites. 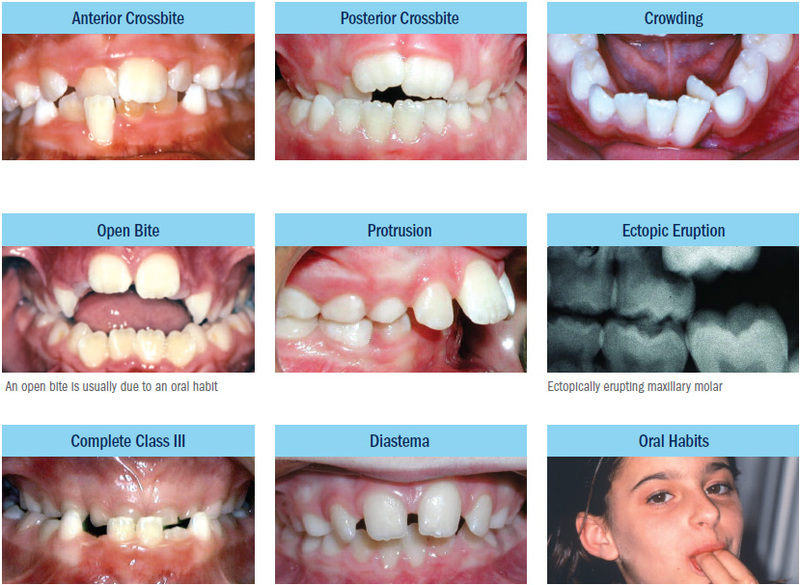 Orthodontists can spot subtle problems with jaw growth and emerging teeth even while baby teeth are still present. 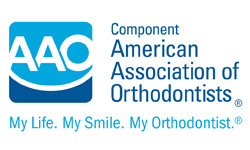 If problems are observed, the Orthodontist can use special appliances to help guide jaw growth, as well as guide permanent teeth into a favorable position to create more pleasing arrangement of teeth, lips and face. As the permanent teeth begin to erupt, problems can be detected such as crowding, habits, deep bites, open bites and some jaw discrepancies. While your child’s teeth may appear to be straight, there could be a problem that only an Orthodontist could detect. The Orthodontist can also lower the risk of trauma to protruded front teeth. Create room for crowded, erupting teeth. Preserve space for unerupted teeth. Correct harmful oral habits (thumb or finger sucking). Reduce the need to remove teeth. 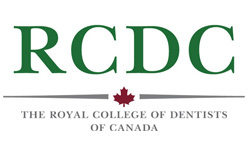 Reduce treatment time in braces/aligners. The images below will you identify early signs of trouble that may require early intervention or treatment in your child. However, also pay attention to the following: Early or late loss of baby teeth, difficulty chewing, mouth breathing, jaws that shift and make sounds, speech difficulties, biting the cheek or the roof of the mouth, facial imbalances and grinding/clenching of the teeth.